Prospect Dental Group, LLC (Cambridge) - Book Appointment Online! Our mission is to provide lifelong care for our patients with an emphasis on prevention and maintenance. Our staff has been trained in the most modern techniques and employs the state of the art when planning individual treatment plans for every patient. We have built our practice on the referrals of our own patients and we take pride in knowing that our patients have such a great trust in us. We are committed to excellence in dental care. Above all, we are here to restore and preserve what nature has given to you; strong teeth, healthy gums, and a bright, attractive smile. We also are here to carry out this goal pleasantly and comfortably. 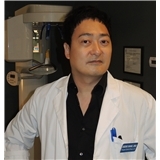 I was recommended to go to Eugene K. Khang by 2 of my friends who go to him for their dentist. I would recommend him. The office is nice, clean and seem to be pretty modern. There was no wait at all and Eugene and the rest of the team were all very friendly and nice. I had a great experience. Incredible dentist! I was seen immediately and she actually did my cleaning. Which is so rare these days. Also, her dental tech was the sweetest lady ever and kept checking if I was okay. Highly recommend!